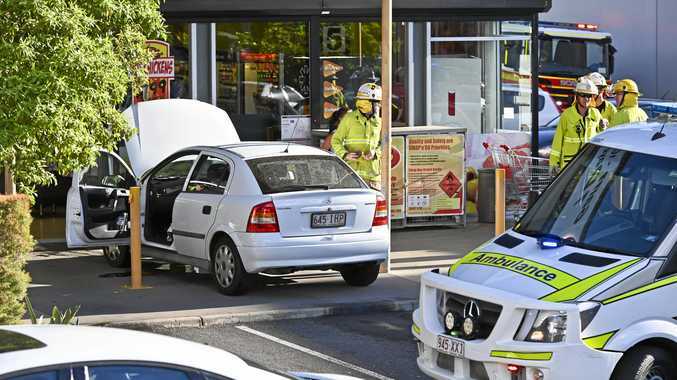 AN ELDERLY man was taken to hospital this afternoon after crashing his car at an Ipswich shopping centre. 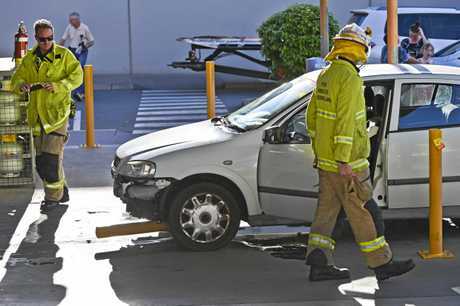 The car ran over a bollard and crashed into the doors at the IGA in West Ipswich just before 4pm. A panel of glass at the bottom of the main entry was damaged, but did not shatter. It is not yet clear if a medical incident is to blame for the accident. The male patient was transported to Ipswich Hospital in a stable condition.